The PCE-PS 15MBS verifiable baby scale allows to check both your baby's evolution and the amount of milk the baby has consumed. 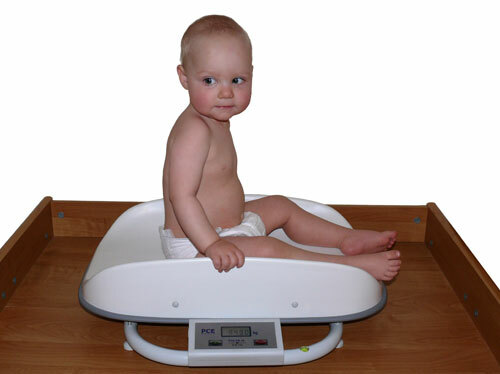 The PCE-PS 15MBS verifiable baby scale is an affordable scale which is specifically designed for weighing infants. 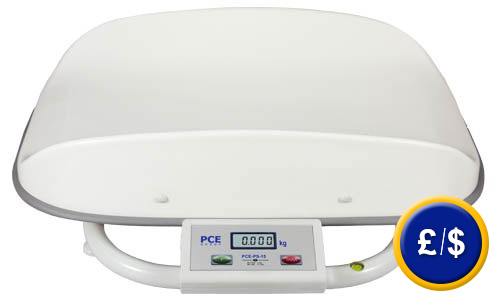 With the PCE-PS 15MBS verifiable baby scale even active babies can still be weighed accurately thanks to its large tray with uplift edges for baby’s comfort and safety. You will always receive an accurate and stable results thanks to the built-in filter. The resolution of 5 g is ideal to control weight changes after every meal (this fact is very important for premature infants). The PCE-PS 15MBS verifiable baby scale includes taring function, so you can set the baby scale to read only the baby's weight excluding the weight of its clothes, blanket or other things. 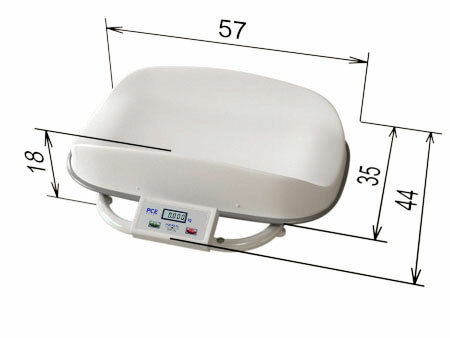 Although the PCE-PS 15 MBS verifiable baby scale has many different functions, it is very easy to use. Here you will find an overview of all medical scales. Technical specifications can be seen below. 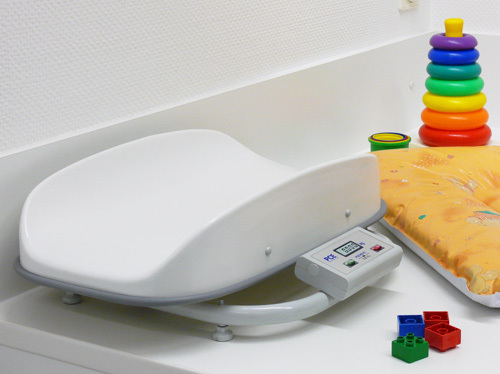 If you have any questions regarding the baby scale or any other model of baby scale, you can contact us and our engineers and technicians will help you find the scale that best suits your needs. The kit includes a software for transferring the weighing data to a PC or Portable and RS-232-cable. The transferred data can also be sent to other software as Excel, etc. The standard software is in English (other languages also are available: French, German, etc). The first verification can be performed when the scale is ordered. Once an official calibration has been done, the scale cannot be calibrated by means of an external weight. The first verification is valid for 2 years but every other verification is valid for one year and must be done annually.